ACCESS IN THE NEWS!! 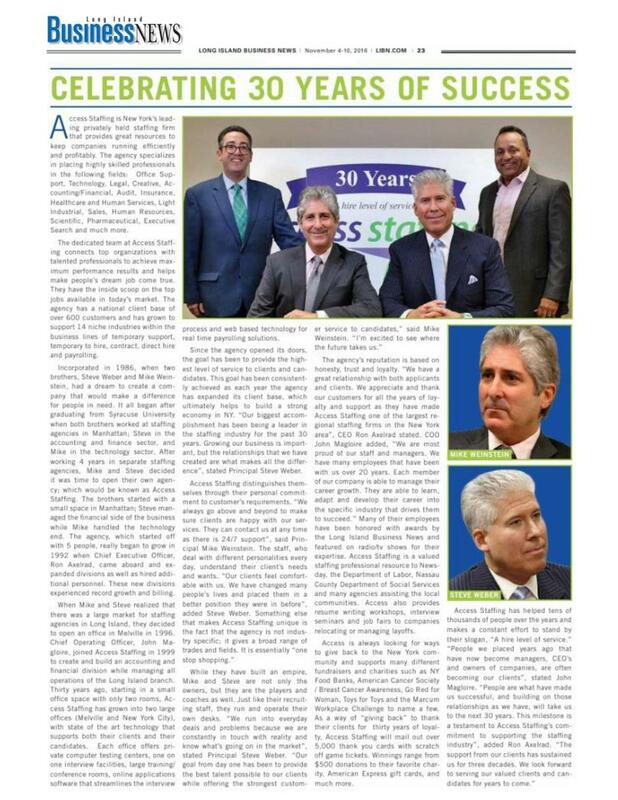 - Access Staffing was featured in this weeks edition of the Long Island Business News for 'Celebrating 30 Years of Success'! Head over to LIBN.com to check out the article and to find out more about Access Staffing.